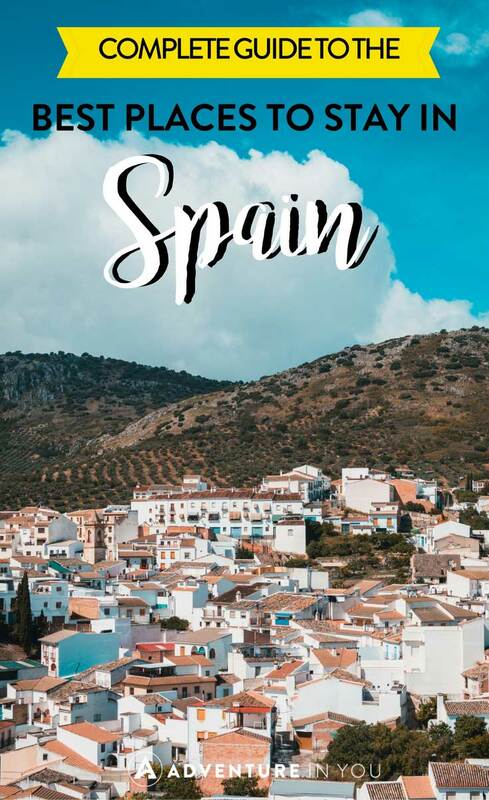 Planning your next adventure to Spain? 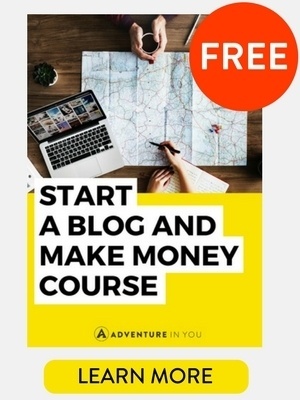 Anyone who has been there would tell you its best to schedule your trip to the Iberian peninsula in the early summer to avoid the rising temperatures (and the number of people coming in for summer vacation). But before you think and dream about what this Southern European country has to offer – its fascinating historical attractions, breathtaking coastlines, the Basque cuisine, and unique memories – it always pays to know where are the best places to stay in Spain to make your trip really memorable. To help you plan where to stay in Spain, we compiled a list of our personal recommendations. This modern guesthouse in Barcelona is anything but modest. Hostel Argo boasts Scandinavian furniture, minimalist decor, clean beddings, parquet floors, and offers a unique vantage point of the city from the roof terrace, perfect for the pickiest of guests. The staff manning the 24-hour front desk are quite friendly, and will allow you to check in and store your luggage for free. Despite its central location, guests can find this hostel a quiet but accessible option. Past guests recommend Hostel Argo for a short stay as it is right smack in the city center, next to all the great restaurants, and walkable to the local neighbourhood Gracia, the Rambla and La Sagrada Familia. Do reserve in advance though, as Hostel Argo only has 11 rooms. Perfect for small groups and families, H10 Urquinaona Plaza features historical aesthetics and modern convenience. The hotel is a restored 19th-century building that features smart, contemporary decor and chic, minimalist rooms. But the two bestselling points of H10 Urquinaona Plaza is its roof terrace and its location. The roof terrace has a small seasonal pool and lounge chairs you can relax and take in the beautiful city views. H10 Urquinaona Plaza is also near the airport bus stop, Catalunya and Urquinaona Metro and Railway Stations, and is a short walk away to the Palau de la Música Catalana, Plaza de Catalunya, and Las Ramblas. If you’re checking in, do look forward to the hotel’s breakfast spread. The hotel’s fruits and pastries are a hit to repeating guests. 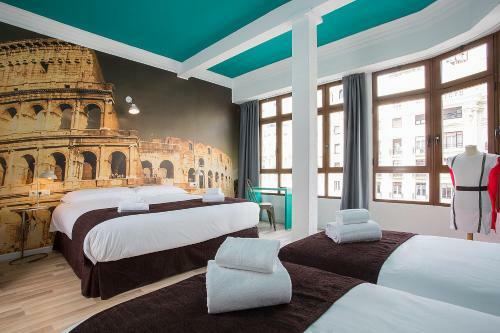 Just 100m from Plaza Catalunya, the charming Royal Ramblas is a top pick for anyone looking for a short stay near Barcelona’s famous Las Ramblas. With its chic and modern air-conditioned rooms, Royal Ramblas offers an amazing opportunity to be in the heart of the Barcelona City Center. 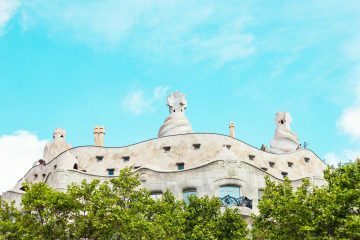 It’s just a walk from the elegant Passeig de Gracia, which is lined with designer shops and many cafes, and the Gothic Quarter. Ask the tour desk for more information on how to best explore the city, and they’ll be happy to help you, including your transportation options around the city. If you do decide to stay in for the day, look forward to the impressive views from your balcony room or enjoy a sumptuous breakfast at the hotel’s onsite La Poma Restaurant. La Poma’s buffet breakfast features a sampling of homemade cakes and other delicacies native in Barcelona. This luxurious hotel comes with bigger than usual rooms featuring modern decor and wood-based furniture. Sercotel Hotel Gran Bilbao also has a cafe bar, a stylish lounge area, and an in-house restaurant offering avant-garde cuisine. You can book your room with the free breakfast option avail the hotel’s breakfast for an additional 13 to 15 euros per person. Sercotel Hotel Gran Bilbao is just a walk away from the Bilbao Cathedral and the famous Seven Streets district. If you need to venture out from your hotel, there’s a complimentary bus that can take you to the Bilbao center free of charge. Otherwise, you have the option to take a taxi or bus just outside the hotel, or walk to the Atxuri Tram station, which is 750m away, or to the Bilbao Ferry Port. Looking for a hotel with well-designed rooms, with facilities for disabled guests, friendly staff and a great complimentary breakfast? Why not book your next room at this modern-styled hotel that’s just right across the famed Guggenheim Museum? Nearby, you can head out to the Ibaizabal restaurant and taste authentic Basque and international fares that could satiate anyone’s appetite. Otherwise, you can explore Bilbao’s charming historic quarter, which is just next to the Barceló Bilbao Nervión, to dine at any of the several pintxo restaurants. The main shopping streets are just a stone throw’s away from the hotel too. You can also ask the 24-hour front desk for help in getting a rental bike or car to explore the city center, or directions to the Bilbao Train Station. The hotel also offers a full Guggenheim Museum experience for a premium. This popular 5-star hotel is a favorite among travellers heading to Bilbao. It’s just opposite the popular Guggenheim Museum, and the hotel itself is an architectural marvel. Designed by Javier Mariscal, get inspired by the hotel’s stylish common areas, minimalist rooms, and the roof terrace offering spectacular views of the city. The roof terrace also houses the hotel’s restaurant, where you can dine alfresco with signature Basque and international dishes. The Gran Hotel Domine Bilbao also offers hotel packages that come with the full Guggenheim experience for a premium. But if you want to explore Bilbao on your own, simply walk to the Guggenheim, the Museum of Fine Arts, the Maritime Museum, and Zubiarte Shopping Centre, which are all a few minutes away. This converted 18th-century mansion is located in the Jewish quarter of Córdoba, just next to the old city walls. Staying at the NH Collection Amistad Cordoba will make you feel like a Spanish royal. The hotel retained most of the old mansion’s original stone walls, ceramic floors and central courtyard. Surprisingly, the hotel’s common areas are decked with modern art. Previous guests have raved about the luxurious air-conditioned rooms at NH Collection Amistad Cordoba. If you have your fill inside the hotel, check out the sun terrace, which has a 0.8 meter deep outdoor pool. Located in the Old Town district, this elegant, 4-star hotel is well-loved by guests because of its location and excellent service. The 24-hour front desk can assist you with anything during your stay, including valet parking and planning the day’s itinerary. Soho Boutique Capuchinos is just a 20-minute walk to the Cordoba mosque and Jewish quarters. If you plan to shop and eat out, there are several various shopping places, cafes and restaurants near the hotel towards the Cordoba Mosque. If you want to stay indoors instead, head out to the hotel’s sun terrace and hammam, or take a well-deserved treatment at the wellness area with hot tub and sauna. Booking a stay at the Apartamentos Alberca Deluxe will get you an elegant, fully-furnished air-conditioned apartment and access to a charming central patio, fountain and well. These restored traditional-style apartments are located inside Cordoba’s historic center. The location is on the quieter side of the city center as well, so you’d get the rest you well deserve after a full day of taking in the sights. Apartamentos Alberca Deluxe nonetheless is accessible to several bars and restaurants if you want to go on a romantic date with your significant other or simply have a casual night out with friends. The kind staff are ready to help you out with other things to do or try out in Cordoba if you have enough fill of your shopping nearby. Granada Five Senses Rooms & Suites is a great choice for a short-term stay near the historic city center. Located on the central Gran Via Avenue, it is just 200 meters away from the beautiful Granada Cathedral and the Alhambra Palace. The air-conditioned rooms and suites are perfect for couples who enjoy a little bit of downtime indoors after a full day of sightseeing. There’s a hot tub in the room and an outdoor pool where you can lounge and relax your tired muscles. The hotel also has a slew of beauty and wellness services you can enjoy. Breakfast is served at the hotel, but you can always step out and dine at any of the number of tapas bars at the nearby Bib Rambla Square and Elvira Street. Another hotel that’s close to the city center, Palacio Cabrera – Lillo is a 19th-century contemporary palace that will make any guest feel like royalty. It’s popular mostly to families and small groups because of its well-sized, immaculate rooms and comfortable facilities. It’s also hard to be bored living at this hotel because everything is accessible. Granada Cathedral is just a nice walk way, and you’ll be passing by plenty of restaurants, shops and attractions, including Recogidas Street. If you need to venture out further to the Alhambra, there are bus services available near the hotel. If you want some sense of privacy, do book a lovely room at Petit Palais 1829. Apartments here are quite stylish, comes with a balcony to enjoy the city views, and has a full-functioning kitchen, and washing machine, among other things. The Petit Palais 1829 is also centrally located: the hotel is only a short walk away from historical attractions like the Granada Cathedral, and several restaurants, shops and bars. The staff are quite nice, too, and could accommodate special requests like taxi pickup or allow you to drive up to the main door, unpack, and park your own car elsewhere. Just 5 minutes away from the Cathedral of Santiago de Compostela, Alameda Park, and the restaurant strip, Hostal Mapoula is a perfect place to crash for people who still seek some peace and quiet after a long day. Located just on edge of old town, it is surprisingly very close to tour pick-up points, the train station, and even a short taxi ride to the airport. 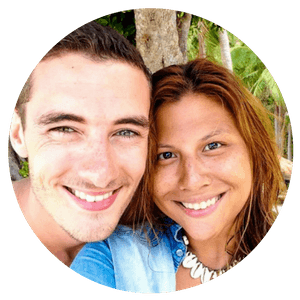 Hostal Mapoula has a 24-hour front desk staff who can assist you with any of your lodging and local itinerary needs. There’s also a Continental breakfast served every day with freshly squeezed orange juice, toast, and cheese, meats and preserves to enjoy it with. This boutique hotel comes with modern, fully-furnished rooms that’s unbelievably comfy and stylish if you consider the room rates. It also has an onsite café-bar called Republica, where you can enjoy a drink at the bar’s large summer terrace. The next best thing about this hotel is its location: Cathedral of Santiago de Compostela, Monastery of San Martino Pinario, Casa del Cabildo, Royal University of Santiago de Compostela, Galician Art Museum and the Museum of the People of Galicia are all just a stroll away. The staff manning the 24-hour reception desk can also help you with your local tour around Santiago de Compostela. Looking for a luxury hotel room to stay at an affordable price? Hotel Lux Santiago got you covered. Each air-conditioned room is stylish, fully-furnished and comes with a lot of natural lighting for a 3-star hotel. Everything at this hotel is generous too: from towels, toiletries, its breakfast spread, and the genuine service you’ll get from the very warm and friendly staff. The staff can help you book your car at the reception or recommended places to visit for sightseeing. 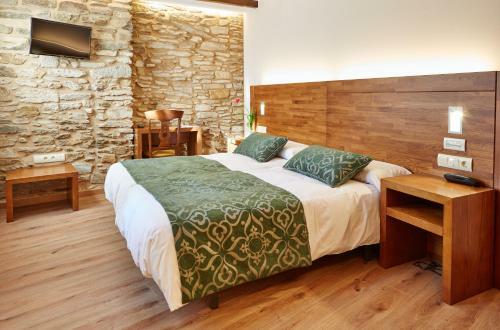 If you decide to book your stay at this hotel, don’t miss the chance to go on a pilgrimage to the holy Camino de Santiago nearby. Want to live near the beach? Get a room at Casa Nicolasa. Casa Nicolasa is literally just 5 minutes away from La Conch Beach, where you can go on a swim, surf, or take any water sport to your heart’s content. Casa Nicolasa has fully-furnished, air-conditioned rooms that feature white vintage furniture, parquet floors and stylish decor. Upon arrival, you can avail the hotel’s free coffee in the lounge area or enjoy the free drinks served in your room. The hotel is located at the edge of the Old Quarter, but you’ll never realize it as it is quite accessible to the main restaurant and bar strip in San Sebastian. The bus stop going to the airport is also a few minutes away from the hotel. This 4-star hotel may be a bit farther from the beach (18 minutes by foot), but it makes up for its modern, stylish rooms that are soundproofed to block outside noise. Nonetheless, the Zenit San Sebastián is located in Amara in central San Sebastián, so it’s still accessible to major transportation points like the Amara Tram Station and the San Sebastián Airport. Zenit San Sebastian also has great outdoor spaces like the jacuzzi, and its onsite restaurant called Morlans that serves modern Basque cuisine. Some of the staff at Morlans are people with disabilities, so do practice extra courtesy and smile when engaging with them. But the staff are quite helpful especially with requests such as tourist information, luggage storage, and extra long beds. Another hotel that’s closest to the beach, Pensión Balerdi is a charming little escape set in a historical building that’s located on the edge of the old town. Since its renovation in 2015, it has been a perfect choice for guests thanks to its well-insulated, fully-furnished rooms with natural lighting and street views. Complimentary Nespresso machine and tea are available, and you can also park your car underground at a discount. Breakfast is not served at the hotel, but you can get one at a cafe opposite Pensión Balerdi or at one of the many restaurants and bars nearby. 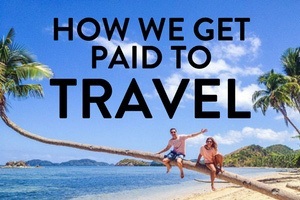 The owners are pretty helpful and friendly and will be willing to store your luggage for you. Do book in advance though, as Pensión Balerdi only has 6 rooms. The rooms here are a bit small but very cute. I’d definitely opt for one of the larger rooms over the twin or double if you want some more space. The rooms are minimally decorated in a traditional style, and although simple are very charming. Lots of tapas bars are close by, with most major attractions within easy walking distance. This hotel is modern and sleek and definitely feels like a more luxurious place than its price might suggest. A rooftop terrace and swimming pool add an extra bit of charm. From the roof, you can take in panoramic views of the city–perfect for warm summer evenings! And if it gets too hot outside, you can take advantage of the air-conditioned lounge areas inside. Spacious rooms, big jacuzzi tubs, and a rooftop pool…what could be better? The twin rooms here are pretty basic and nothing to write home about, but the bigger rooms are really nice and even have walkout balconies with tremendous views of the city. Overall this is a pretty nice hotel for a very affordable price. To truly feel the magic of Ibiza, get yourself a private apartment at 105 Suites. 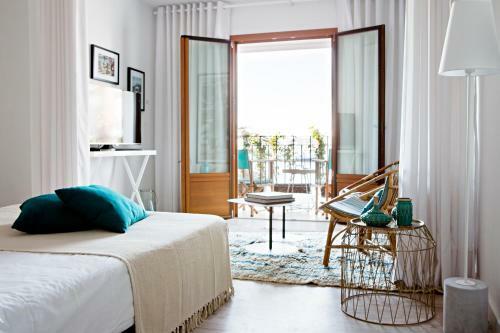 Situated just a hundred meters away from Ibiza Port and just right smack in Ibiza Town, the fully-furnished studio apartments are a dream, thanks to the large windows and terrace or balcony offering breathtaking views of the sea. The studio apartments also overlook marina, cafes and restaurants, but the outside noise are not that bothersome for you to lose a good night’s sleep. If you’re dining out, do hit the chic 105 restaurant for their delicious food and DC10 Nightclub for dancing and drinking, which is just a short ride away. Dorado Ibiza Suites is an exclusive, adults-only beachfront paradise. The hotel features stark-white furniture and decor, plush suites with amazing sea views, kitchenette and a mini bar with a Marshall fridge. The suites share the same facilities with Santos Ibiza Suites. This is why its best asset is its access to the vast outdoor pool, where you can lounge and drink or work on your tan. Also check out the rooftop terrace for a different vantage point and the nightclub, where you can party away with the other guests. Dorado Ibiza Suites is just a few steps down the Playa d’en Bossa strip and a 10-minute drive to the airport. 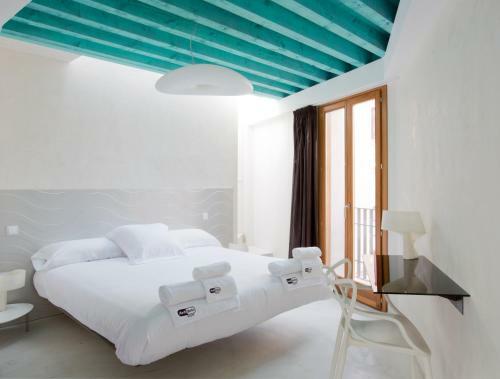 Lux Isla is a modern-style hotel located in Ibiza Town. It is also located near Amnesia and Cathedral of Ibiza, and is a short drive to Santa Eularia des Riu. The hotel has spacious, well-equipped rooms that can accommodate couples to even small groups or families looking to stay in the area. The staff at the hotel are extremely helpful and caring too, from the moment you’ve scheduled pick-up from the airport to check-in. Lux Isla also has a garden where you can have your morning coffee and enjoy the sunrise, a dining area to take delight on their breakfast spread, and an in-house restaurant and bar for a nightcap. 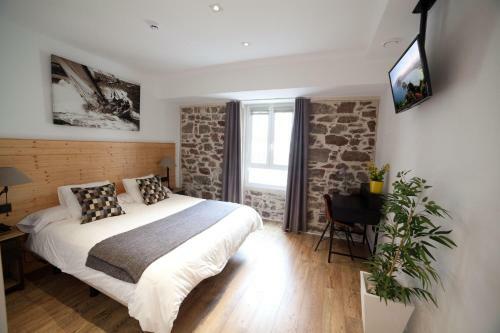 Antidoto Room is a restored 16th-century building converted into a hotel, so expect a lot of Old World features. The hotel is centered round a courtyard and a glass atrium, and has kept the original walls, exposed wooden beams, balustrades, curved roof tiles, including the French balconies. The rooms, however, are decked with minimalist decor and furniture, and the latest in hotel appliances and amenities. Just next to central square, Antidoto Room is near the Zocodover Square and the Arabic Market, which is enough to fill your day’s worth of sightseeing. The Alcazar and the Toledo Cathedral are also under 10 minutes away, so don’t forget to visit these historical attractions too. Right across the River Tajo is Hotel Cigarral el Bosque, a five-star hotel with rooms that offer amazing views of Toledo you wouldn’t enjoy in any other property. The hotel may look outdated for some people, but that’s because it is set in Toledo’s oldest manor houses. It does boast an impressive outdoor swimming pool and extensive gardens for you to enjoy. On site, you can dine on regional cuisine at the Cigarral restaurant, or enjoy tapas and cocktails at the bar. If you don’t like to walk to the town center, which is 20 minutes from the hotel by foot, there are taxis who can take you there in a few minutes. In terms of location, this pet-friendly hotel is dubbed the best in Toledo according to independent reviews. Cervantes Apartamentos offers private apartments that are a few minutes’ walk to all attractions in Toledo, including Plaza de Zocodover and the Alcazar de Toledo Fort. You can also walk to several museums in the area, including Museo de Malaga, Carmen Thyssen Museum, and the Picasso Museum. The apartment itself is stylish, thanks to its stark white furniture and decor and the open floor plan. You can fit a small group of people or a family in the apartment, thanks to the spacious living space and the sofa bed in the living room. The owner is very friendly and can help you with simple requests like arranging your airport shuttle service for a fee or avail the onsite parking space for free. What’s not to like about staying at a 16th century building turned hotel? The charm about Exe Casa de Los Linajes is the aristocratic feel it exudes, from its original features, antique-style furniture, plush common and private rooms. Exe Casa de Los Linajes is perfect for guests who are mobile-challenged. Some of the rooms and facilities cater to people with disabilities. The hotel also offers gluten-free breakfast option for guests who are specific about their dietary needs. Exe Casa de Los Linajes is close to San Esteban’s tourist attractions, including the UNESCO World Heritage Site of Segovia. 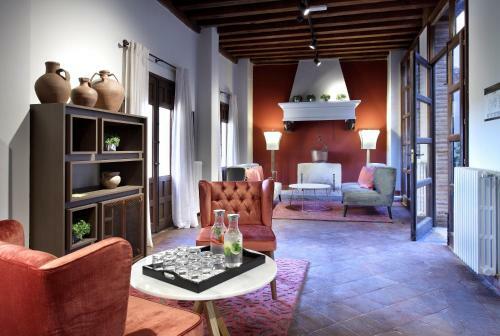 One of the most popular 3-star hotels in Segovia, La Casa Mudéjar is a hotel set on an Old World building located on the district’s main street. The hotel has managed to keep some of the original building’s fixtures, and also houses its own art collection. You can easily spot several Greek sculptures proudly displayed in the common areas, which are perfect props for your vacation selfies. There’s so much to do at La Casa Mudéjar: dine on Castilian and Sephardic food at Fogón Sefardí Restaurant or Taberna del Fogón, or relax your muscles at the property’s in-house spa facilities. The hotel is also close to Segovia’s hottest attractions, including Alcázar Fortress, the UNESCO World Heritage Site declared aqueduct, and the nearby cathedral. This 4-star property is perfect for people who wish to be in the center of everything. Located in the heart of Segovia city center, it is literally a short walk to everything: the stunning city monuments, the famous Roman aqueduct, Santa Maria del Parral, cathedral, and the San Martín church. If you have brought up or rented your own car, there is free parking just 300 meters away from the hotel. You can retire at the hotel after a long day of sightseeing and enjoy the comforts of your air-conditioned room or have drinks and dinner at the restaurant or at the bar on site. The staff also are quite helpful, and you don’t need advanced Spanish to understand or engage with them. This 2-star hotel in Valencia is worth your stay at least for its location and its retro decor. The hotel’s love for iconography is prominent everywhere: on walls, room dividers, shower curtains, and even on its bath accessories. The minimalist furniture adds a nice touch. Although there are 67 rooms available in this property, you may want to book it in advance. The hotel is located near Valencia’s popular shopping and sightseeing areas, so it’s pretty popular to travellers. 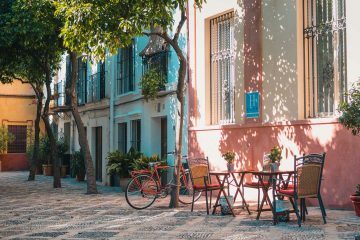 If you’re not fond of walking, you can simply ask the 24-hour front desk to help you book a bike for hire so you can visit popular attractions like Barrio del Carmen, City of Arts & Sciences, and Ciutat Vella. The hotel offers breakfast, but you can get some at a nearby cafe. One glance at this hotel and you’ll never miss it. Hotel Malcom and Barret’s name is proudly displayed at the main entrance of a white and gray building. Inside, the rooms are brightly-lit, well-styled and equipped with all of the essentials. You can enjoy the buffet breakfast, lunch, or at the hotel’s on-site restaurant, or have drinks at the gin bar. If you wish to dine somewhere else, there are a number of restaurants in the area. Hotel Malcom and Barret is kid-friendly too, thanks to the children’s room with a playstation, drawing board, books, and board games to keep them out of boredom. The hotel’s name may be a mouthful, but everything else is understated yet stylish. One Shot Palacio Reina Victoria 04 boasts of Spanish architecture and modern art with the occasional pop of color. The rooms here are spacious, well-lit, and come with Scandinavian furniture. Majority of the rooms offer street views, so make sure you put a special request in when you book a stay. One Shot Palacio Reina Victoria 04 is also located right in the main square, so restaurants, cafes, and bars are just nearby. Popular tourist attractions like the Valencia Cathedral and the UNESCO World Heritage Llotja de Seda are just under a 10-minute walk. You can also add City of Arts & Sciences in your itinerary, which is less than 3 kilometers away from your hotel. 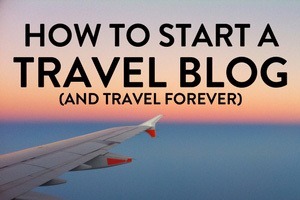 Looking for more articles about traveling in Spain? Here are our best recommendations. When it comes to new adventures, Rizza has a taste for the lesser-known path. If she's not off somewhere near the beach, she's probably lost in her own little adventure with a book.